Losing someone dear to us comes with a complex mix of emotions — we mourn the loss of their presence in our lives, but we celebrate the time we were able to spend with them. Often, focusing on the moments of joy within these memories can be helpful in the grieving process. 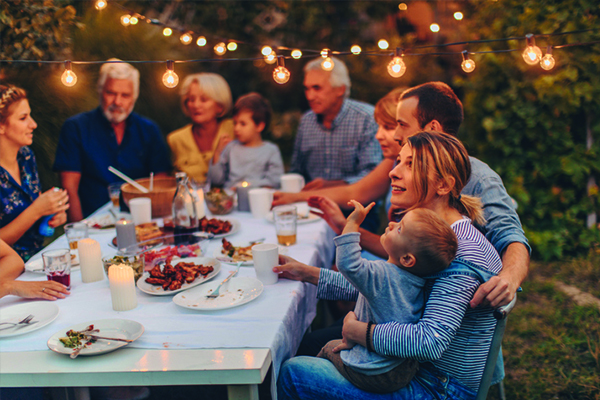 Here are a few ideas of life celebrations to get you thinking, but you also can use your specific knowledge of your loved one to personalize a creative, new idea. Create a beautiful social media obituary to showcase what you appreciate most about your loved one. Whether it be funny posts that highlight their quick wit, invaluable family photos or a reminder of a favorite pastime, the website Love Lives On can help you create a fitting Meme-orial. In less than three minutes, you can create a tribute and post it to social media, generating memories and comments that will make you smile. Have a bracelet engraved with your loved one’s signature, or get a tattoo of their handwriting. Find an old note or greeting card and use that script to make sure you get it right. Businesses commonly offer this service, including many on Etsy. Local tattoo parlors can help you determine the next steps for a tattoo you’re considering. Create a memorial quilt out of old photos or clothing using a tutorial like this one. T-shirts make great quilt squares, and you’ll love seeing their life and experiences splayed out as you cozy up and relish in the great memories. Framed photos are great memories, but what about framed words? Hang a quote of your loved one’s favorite quote or poem —or even something they used to always say — prominently in your home, ensuring you’ll think of them whenever you see it.